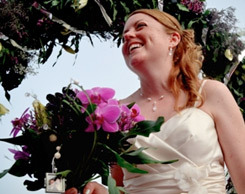 Wedding photos are memories you will always look at and think back to these wonderful moments. 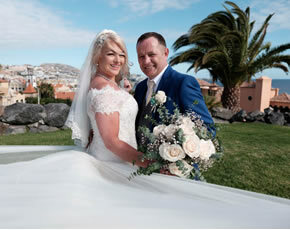 This lovely couple had their beautiful pictures taken in their wedding dress in the dream island Tenerife. Our professional photographer accompanied them through the most stunning landscapes and the pictures show how happy they are to have found each other! A wonderful start of the day! 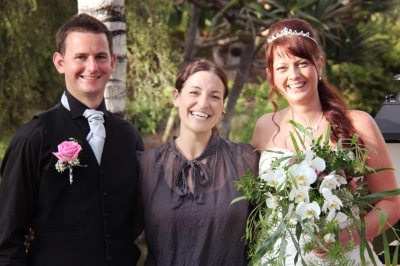 Nadine García Breuer and the professional photographer of My perfect wedding know the best and most beautiful places in Tenerife. Both of them really enjoy their after wedding photo shoot abroad! They are delighted of the many different venues! 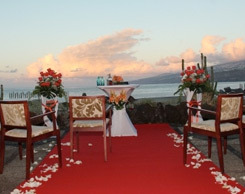 The bridal couple likes the fresh sea air! 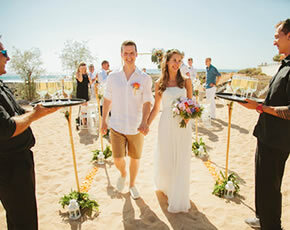 They will never forget their wedding day and the unique after wedding photo shooting in Spain! A fantastic feeling to walk barefoot on the warm sand! The heart is the sign for love. 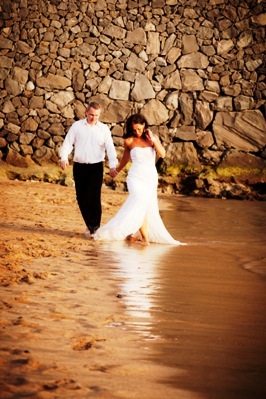 Stunning pictures on a beach in Tenerife. A little refreshment in the azure blue Atlantic! 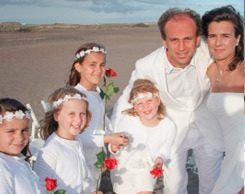 As you can see on the pictures they have so much fun at this special day! A kiss that brings back the memories of their wedding kiss. The photographer catches their best moments! An amazing sunset in the Canary Islands! 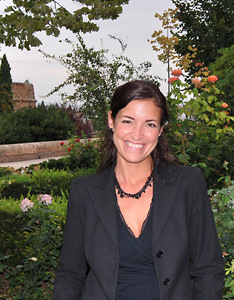 The couple is really happy that they chose Nadine García Breuer to realize their dream! 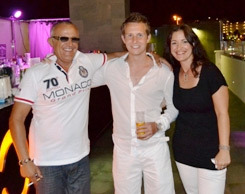 My perfect wedding wishes them good luck for the future and that they will always remember this perfect day in Tenerife.